I do not follow trends but I find them interesting and even more interesting how I subscribe to them subconsciously (although you could say that by reading them I am conscious of them). Either way, I find how they reflect economic situations, how they merge and develop and how they are adopted by people, fascinating. I also like to see if my gut/instinct towards shapes and colours is right. 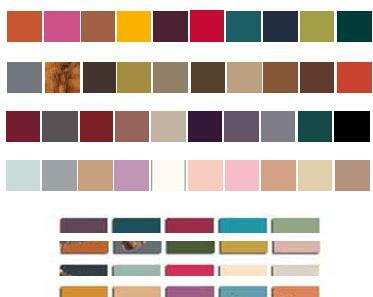 Often I feel a connection towards a colour and there it is, in the prediction. For all these reasons I enjoy reading them. Colours: I do not see much change from winter 2008 and summer 2008/09 (for South Africa, that is now). The colours only seem to get a little bit darker and perhaps even dusty. For example, the deep but rich turquoise of summer 2008/09 seems to transcend into a deep and darker emerald for winter 2009. My only observation that sparks up some interest is the disappearance of orange. Walk through the shops now and you are surrounded by cool orange tones. In winter and summer 08/09 the trend sites could not stress the importance of ‘flaming orange’ and ‘utility orange’ … but I do not see it in these (the winter 09/10) palettes. They have become burnt sienna, ochre and naartjie. Fabrics: Sensual is the word that comes to my mind when I see the chosen fabrics: silk for it’s matt shine, wool for it’s lightweight body (but in contrast there are heavy tweeds), sequenced chiffon, crepe, creased linen and satin. Prints: Urban graphics, modern art, graffiti, hand-crafted techniques, high-tech surface finished …. ohlala … what a combination. This imagery together with the above mentioned fabrics creates an ultramodern performance (with a human touch). I find this extremely interesting and I would say – just go for it because it seems that as long as it is unexpected and full of interest, you are ‘IN’. In conclusion I would say: The colours and fabrics are inspired by nature and the prints are the technological inspiration. Together it is a juxtaposition that makes a composition (if that even makes sense…but then again, is sense what we are looking for?). Please note that this post is my thoughts on the trends reported on Infomat.com and Trendstop.com. They should not be taken as definite trends or as any researched matter. They are purely subjective and reflective. 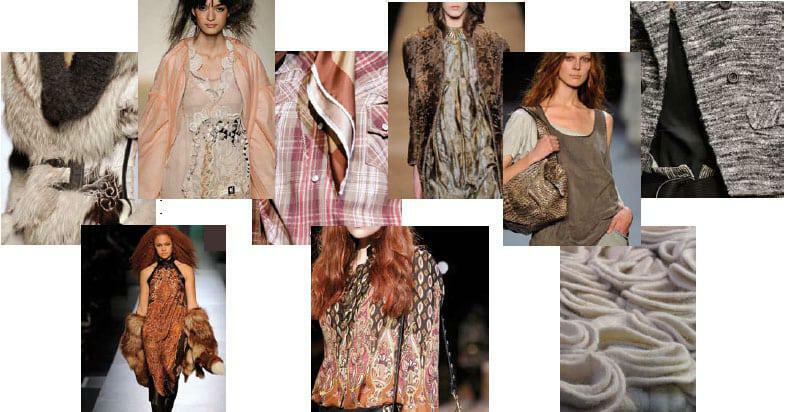 This entry was posted in Blog and tagged colour trend, fabric trends, Fashion, fashion trends 2009/2010, print trend, Trends, winter, winter 2009/2010. oh thank you for this…..this is really helpful!!!!! Thank you for sharing!ItÂ´s interesting to see!Very nice coloures!